Mobile homes can be a home away from home, but they end up subjected to different stresses than permanent homes do. Under an RVs shell are a ton of different materials all designed to help it keep together during towing, bad weather, and general use. What makes adhesives for RVs special? RV adhesives have to combine flexibility, durability, and versatility, while avoiding issues like shrinkage. RVs are often subjected to bigger changes in temperature and humidity than traditional homes, and moving RVs or mobile homes around can eventually result in a laundry list of problems on its own. Choosing the right mobile home adhesives for repairs can help RV owners avoid having to deal with loose wall panels, leaking roofs, and other problems down the line. The adhesives most suitable for RV repairs won't shrink with heat or cold, crack when RVs are moved, or lose their hold and flexibility over time. 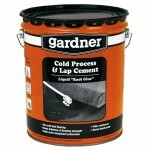 How are mobile home adhesives used? 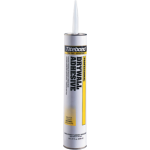 RV and modular homes adhesive are used for every aspect of repair and construction, particularly in tight spaces or areas where nails or screws wouldn't be appropriate. 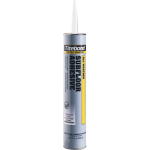 Loose wall panels can be re-hung with spray adhesives, leaks get patched up with adhesive caulk, and windows, cabinets, and other parts are repaired with construction adhesive. If there's part of a modular home or RV that needs fixing or replacing, mobile home adhesives are the go-to material. Where can adhesives for RVs be found?